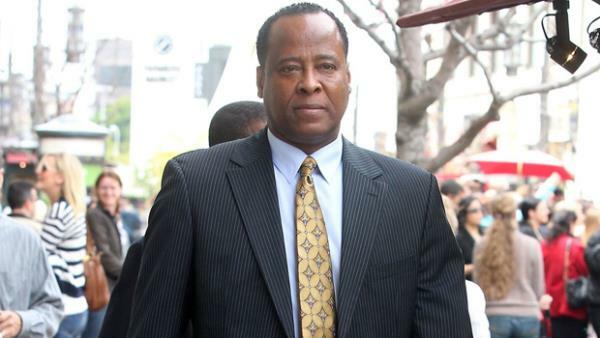 Dr. Conrad Murray has threatened to reveal an explosive secret about Michael Jackson. The physician is serving four years for the involuntary manslaughter of the King of Pop - who died of acute Propofol intoxication in 2009 - and has issued a warning that he will drop a "nuclear" bombshell about the singer and his family if he is forced to testify in the Jackson family's wrongful death lawsuit against AEG Live. A source told gossip website TMZ.com that Dr. Murray made the threat in a recent voicemail message to a friend, begging AEG and the Jacksons not to make him testify. In the recording he said: "Please stop. If you don't, let this serve as my final warning to both sides. Don't incite me to testify. Consider this as an imminent nuclear warning. Enough is enough." The disgraced medical practitioner reportedly wants nothing to do with the lawsuit because he is afraid he could possibly incriminate himself further and has appealed to overturn his manslaughter conviction. Katherine Jackson, 83, who is suing concert promoters because they allegedly did not properly investigate Dr. Murray, recently said that hearing lies about her late son is the most difficult thing she's ever had to deal with. She said: "The most difficult thing is to sit here in this court and listen to all the bad things they've said about my son. None of the things are the truth. "It's difficult because Michael is not here to speak for himself. I want to know what really happened to my son." The trial started in April and is expected to continue until September. I'm a 51 year old woman looking to meet men between the ages of 39 and 55.